The lovely Tom Burton has nominated me for a Mystery Blogger Award! Essentially: it’s a wonderfully kind compliment. A true honor to receive. Now, there are some rules to the award. Which, usually, rules make me go “bleh!” but these rules aren’t nearly as painful as most rules. One through four are already taken care of. See! Not so bad, right? Though I will say that I’m going to skip 6-8. Mostly because I don’t know that many bloggers. But, I have no problem continuing with the rest of the rules! 1. I absolutely love steak. Like, love love love steak. Medium rare is my style, and I love caramelized onions as a topping (or grilled! I also love onions). 2. I don’t know if I’ve mentioned this before, but: my family owns goats! Four, at the moment. My favorite being the baby of our herd. She’s very sweet and lovable. She was born right before winter set in, which means that she got held a lot when she was a baby. She’s the cuddliest goat we have. An absolute lover, and a cutie to boot. I would say that I really enjoy when I make something and someone goes “wow! This was great! This inspired me/touched me/made me realize ___!” That’s usually my goal as a writer. I like writing about things that seem like they matter, and I definitely write about things that matter to me. So, when someone communicates that they resonate with a story I wrote, it makes me downright giddy. When that happens, I definitely feel like I’m succeeding in my writing. It makes my day! The rush of posting a story that I resonate with. Some days, I write just because I need the practice. 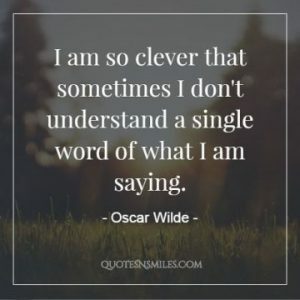 But, originally, this blog started as a way to de-clutter my mind and help me sort my feelings (truth be told, I am not very skilled at either of those things on my own/without the proper tools, lol). And, when I post a story that really helps me do that, I feel a weight lifted. Like I’ve truly done something to lighten the burden on my mind. It’s self-help, I guess, or self-therapy. A way to detox, and, when I find the exact right story my mind is looking to release, it feels great. A lot of time, grammar rules get in the way of your emotional flow. We don’t talk grammatically correct, so, often times, when you write like a grammar nazi, you don’t evoke any emotion. Or, you don’t evoke the right emotion, or, perhaps, you’re just not evoking to the level you want to. Grammar is important, and your sentences have to be understandable, but, at the same time, don’t sacrifice your emotional flow for the sake of grammar. Like I said, we don’t often speak to one another in strict grammar rules. So then, why should we write creative stories within the confines of those rules? Looking at the writing, I realized it was the grammar rules that kept the author from being able to bust out of the robotics of writing and punch me in the gut with the loss. It made me so sad that the author couldn’t accurately express the sadness of the main character—the sadness I was supposed to share in, because I’m the reader—due to grammar. It felt so disingenuous when the main character talked about their sadness, because it was so logically confined. Constructed so carefully in the midst of this unexpected loss of her friend. And that’s why it felt so limp. Emotions aren’t logical people!!! They’re wild horses that you suddenly find yourself trying to tame!! They toss you and turn you and buck you a few times before you finally get yourself settled!!! Wild emotions aren’t meant to be tamed by rules!!! Especially not grammar rules!! They’re meant to be strung together like a train wreck. Very few people experience loss and think so logically while sobbing. Loss makes your mind wild with grief, regret, disbelieve—and a million other things. When people experience loss, they don’t generally express themselves with articulate inner musings. Hell, I remember when I lost my best friend my brain went completely blank, and then it was a train wreck mishmash of random words, sobs, and doing my damndest to get myself to form one coherent thought or sentence. And, factually speaking, I’m not an outwardly emotional person, nor am I an inwardly emotional person. So, the fact that that’s how I responded says a lot about loss and its impact. THAT’S how most people respond. So, if your character doesn’t respond the same way, or in a way that’s similar, you’re going to loose your reader. Emotions and compassion and identifying with characters is what keeps a reader engaged. If your story doesn’t properly sell the emotions in the book, your readers will lose interest. If you find that grammar is messing with the emotional flow, then, break the rules. Do it your way to get the kind of response you want. That’s the beauty of English, and the essence of writing: communicating effectively. Including emotions. 4. Do you have a favorite book, film, or TV series that you never get tired of? For books, I’d say its the Wolves of Mercy Falls series by Maggie Stiefvater, or An Inheritance of Ash by Leah Bobbit. I love all of those books very dearly. For movies, I’d say The Lion King or A Nightmare Before Christmas. I’ve always enjoyed them, and the music in those movies is stellar. As for TV series… well, I don’t watch much TV. I like Buffy the Vampire Slayer pretty well though (depending on which season we’re talking about) and I definitely don’t tire of My Hero Academia (the themes in that show are incredible, lots of great philosophy to explore). 5. Celebrate a flaw of yours; is there a particular imperfection that you’ve accepted, embraced and turned into a personal strength? I think I’ve mentioned this here before, but, I have PTSD which makes me very paranoid about my surroundings. Actually, it makes me paranoid in general, lol (though, because of what I’ve been through, I definitely see it as justified. And, if I told the whole story, you’d probably catch some of my paranoia too). That said, it used to be a weakness of mine. I always thought that everyone was out to get me. That no one could be trusted. My survival instincts were always in overdrive, and I was constantly on the watch for possible attack (which, you still shouldn’t startle me when I’m tired. That’s all I’ll say on that). Over the years though, some of that has faded. After moving to the midwest, I realized that strangers can talk to you in a grocery store and not have an ulterior motive. Just because someone is asking you how you like your car doesn’t mean they’re fixing to steal it. People can approach you and have no intention of doing you harm. They really might just be trying to find the nearest gas station. My main point was that: my PTSD used to keep me from doing things (I won’t lie, sometimes, it still does) but, my survival instincts haven given me a great attention to detail, which generally comes in handy. For instance, if something is off in a room—if a room doesn’t look how it usually does—I notice. If there’s something strange sitting on my desk, or my boss’s desk or my mom’s desk, I’ll make a mental note of it out of instinct. There have been plenty of times when someone is looking for something and I randomly know where it’s at because my brain automatically picks up on those strange types of things. Though, honestly, that’s just one example of my developed instincts’ uses. Over the years, my Survival Brain (as I sometimes call it) has developed into something really, extremely useful, rather than holding me down in some pit of fear—like some people’s Survival Brains do. Granted, PTSD is never fun, and I never know what will trigger me or where, but, it has taught me some very important things, and it’s given me an excellent amount of perseverance as well as some good survival instincts. Still wouldn’t recommend PTSD to anyone though. As per the rules I’m following (sorry 6-8, maybe next time) I’m also supposed to link to my best posts. Weekend Wolf, despite being an older story (and not one of my most well-written) is still one of my top stories. Shortly followed by To Be Trifled With, and, as the third place winner, Lone Wolf! Honestly though, those three stories are probably some of my favorites (despite Weekend Wolf feeling so different to me than my newer style and my more well-edited posts). I very much enjoyed writing all three of them. And, that’s it for the Mystery Blogger Award! Again, a big thanks to Tom for nominating me. If you’re here, odds are that you like stories, and Tom does stories excellently. Thank you ever so much for such a kind shoutout! ❤ Lovely learning a little more about you & wishing you all the best with your future stories. 😀 Can't wait to read on!